An overlanding blog written by overland geeks. The site contains all the information you need if you want to start overlanding. 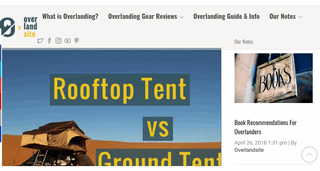 Gear reviews and advice, informational guide articles and overland blog.